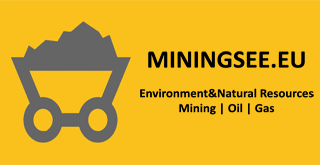 Exploration and exploitation of mineral resources is a very important economic activity which in direct and indirect method represents a significant economic and financial participation in the gross domestic product. Sustainable management of these raw materials is one of the important factors for economic development and the standard of the society of each country. Programme of the Government of the Federation of Bosnia and Herzegovina for the period: 2011 – 2014, strategic goals and sub-goals are established, policy actions by the Federal Ministries, the macroeconomic projections of the main economic indicators for the mandate period and operational plan of activities of the federal ministries also for mandate period. For realization of the strategic goals of the Work Programme of the Federal Government, the policy actions of the Federal Ministry of Energy, Mining and Industry is establish, where continued oil exploration in the Federation is one of the key strategic decisions in the energy sector. Operating policies of the Ministry is focused on the development of a modern, market-oriented and environmentally acceptable energy sector.